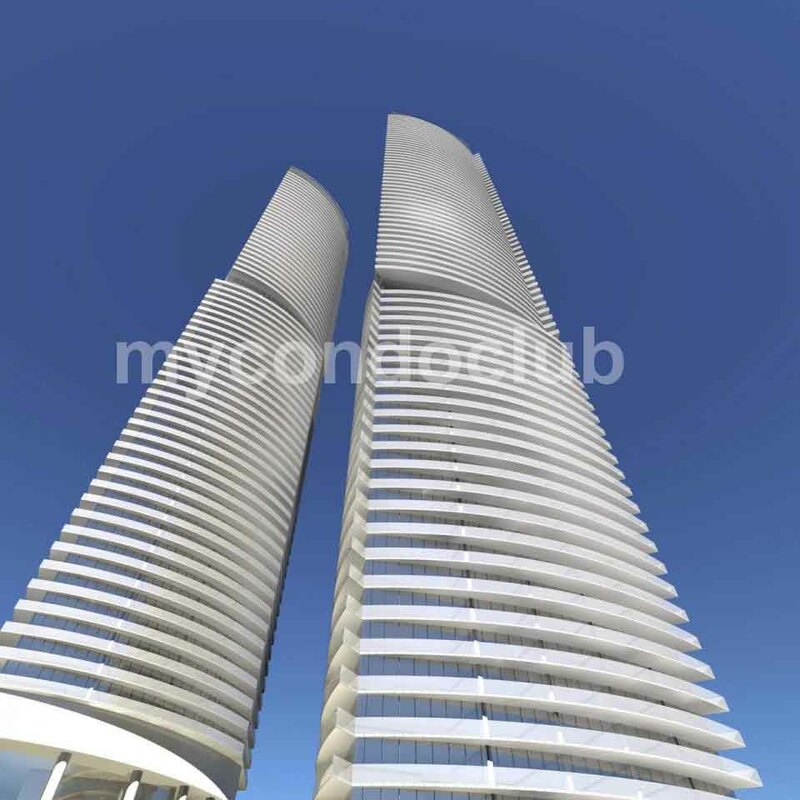 Development By Menkes Developments Ltd.
95 Lakeshore Condos is a new condo development at 95 Lakeshore Boulevard East, Toronto, ON located right at Yonge and Lakeshore Blvd East. This development will have a total of 1,927 condo units, a mix of 65 bachelor, 1,078 one-bedroom, 593 two-bedroom, and 191 three-or-more bedroom units. A four level underground parking garage containing 478 parking spaces, including 416 spaces for residents and 62 for visitors. 1,971 bicycle parking spaces would be provided which will be one of the largest bicycle parking facilities in the Toronto city. The architect of this project is architectsAlliance. 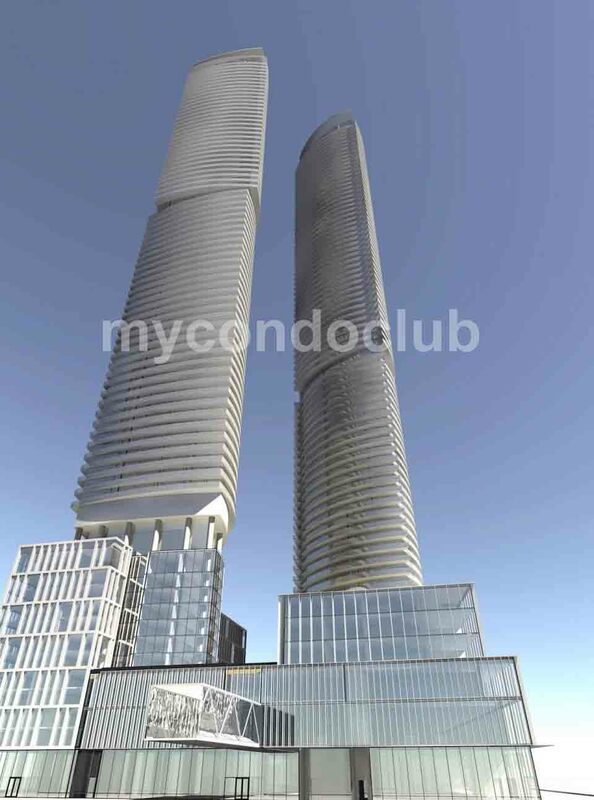 Based in the Waterfront Communities-The Island neighborhood in Toronto, this condominium will rise on the northeast quadrant of the LCBO Lands on Queens Quay Boulevard East in Toronto’s Lower Yonge Precinct Area. 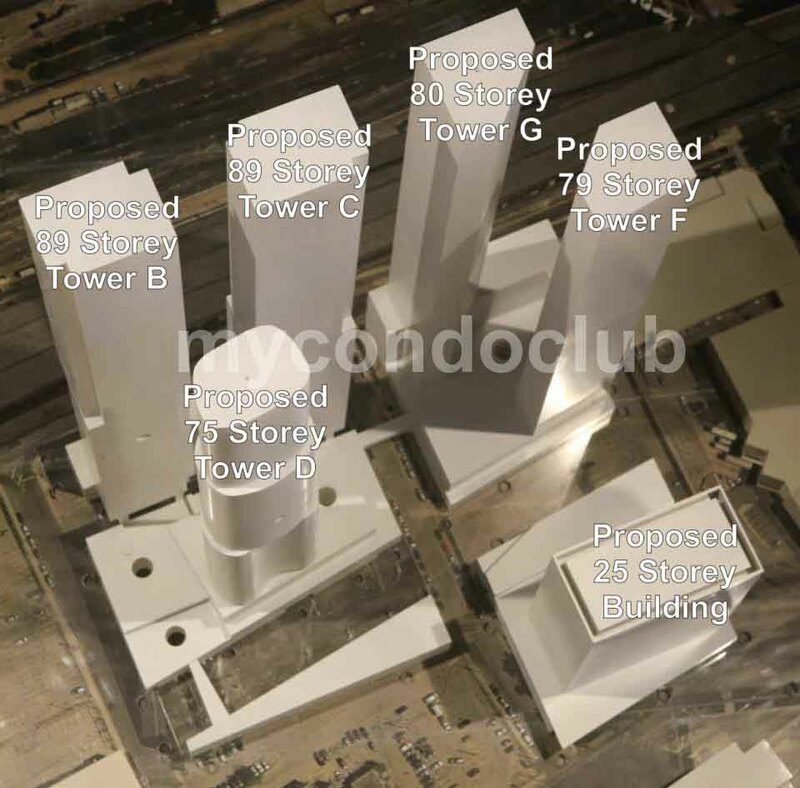 A new LCBO headquarters office tower to the south, a park to the southwest, and more condominiums and a public school to the west. Condo will be connected to the Toronto’s PATH system. Additional features include a party room with kitchen, dining room, terrace, yoga studio, bike room, billiards room, fitness centre and WiFi Lounge. This will also include two separate party rooms where residents can entertain their guests. The party room will have a kitchen, multiple seating areas and a central fireplace feature. The dining area in the party room will have bbq barbecue, dining, lounging terrace with spectacular city view. The 95 Lakeshore Condominium is close to Downtown Toronto, surrounded by large businesses, numerous offices and neighbourhoods like Financial District, Yorkville, St. Lawrence, and Entertainment District. Lots of places to see and visit like Art Gallery of Toronto, Canon Theatre, Air Canada Centre, historic Osgoode Hall, the Hockey Hall of Fame, Maple Leaf Gardens, St. Lawrence Market, the Royal Ontario Museum, Ricoh Coliseum, Rogers Centre, Princess of Wales Theatre, Elgin and Winter Garden Theatres, Harbourfront Centre, and the Royal Alexandra Theatre. Best places to shop in Downtown Toronto are Toronto Eaton Centre, The PATH (underground shopping mall), Yorkville Village, Chinatown Centre, Cambridge Shopping Centre, Manulife Centre, Cumberland Terrace, The Hudson Bay Centre, and Fairview Mall. Few minutes walk to the University from 95 Lakeshore Condominiums. Also, minutes away are the TTC, movie theatres and restaurants, supermarkets, shops in the area so close to the 95 Lakeshore Condos. Berczy Park, Sculpture Gardens and St. James Park are some of the parks close to the 95 Lakeshore Condos in Downtown Toronto.